Richard Bean’s ‘The Heretic’ showed great promise in the pre-opening hype, just like so many plays these days of which a great number disappoint. I’m happy to say that this play lived up to the hype; well, almost. The first three acts were superbly crafted, funny, and rang so very true. The heretic is Diane played by Juliet Stevenson, an academic who does not agree to be swallowed up in the maelstrom of global warming enthusiasts. Instead she sticks to the rigour of her scientific findings in her limited field where she can find no evidence of rising sea levels. There are many highlights, and so many memorable quips, but the prize must go to a filmed interview with her, and Maldives politician and Jeremy Paxman for Newsnight. Or perhaps to the scene which involves her choice of union representative, a toy polar bear. The last two acts flag a little and get a bit silly. But only a bit. I criticize really in the context of the brilliance of the first three. 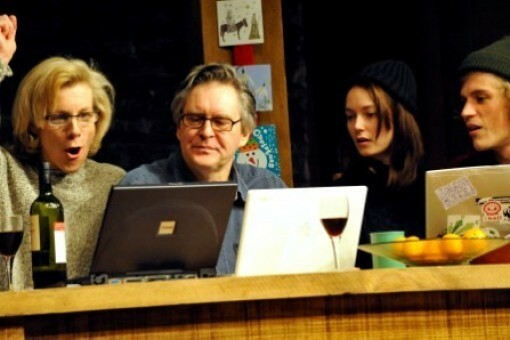 The play is shortly ending its run at the Royal Court. But there is perhaps hope that like that theatre’s last runaway success, Clybourne Park, it may transfer to the West End.